There is lots of information in my ebooks and, TV show. I have included everything I know from my years of experience. 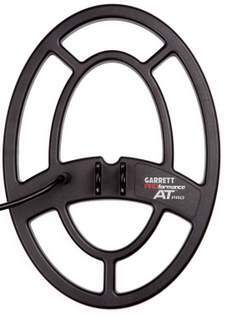 This EXCLUSIVE offer, only at this website, is a $59 value, at no additional cost when you purchase the Garrett AT Pro metal detector. Please Read. For all shipping you must provide a valid, legitimate, shipping address that is verified. I may withhold shipping until a verified address is sent to me. I will only ship to the United States. DOMESTIC BUYERS - FREE SHIPPING TO THE UNITED STATES. I use UPS ground delivery. All products covered by a manufacturer warranty during the warranty period must be returned to the manufacturer for repair or replacement. I will be happy to help you with any questions, contact information or assistance.If for any reason, your product does not operate as as-advertised, please contact me or the manufacturer for support. If there is a problem, I will be more than glad to issue a refund.The return of any damaged merchandise is the responsibility of the buyer. All return shipping costs are the responsibility of the buyer. IMPORTANT INFORMATION REGARDING PAYMENT.I accept most credit cards. Contact me if you prefer another payment method. Your product will be shipped within 3 business days from the time your payment is received. Shipping times differ based on other payments. IMPORTANT - REGARDING REFUNDS. If your detector is malfunctioning, then for that reason you can be refunded, or have your detector replaced. If you request a refund because you are returning the detector for any other reason than a malfunction, YOU MUST PAY A $20.00 RE-STOCKING FEE. NO EXCEPTIONS. The re-stocking fee will be deducted from your refund payment. IMPORTANT INFORMATION REGARDING CONTACTING ME. If you contact me please be patient if I do not get back to you asap. I am either filming, or in the field treasure hunting. However, on a daily basis, I do answer all emails, and contacts. And remember - my bonus of ebooks and the links to my TV series will arrive by email. 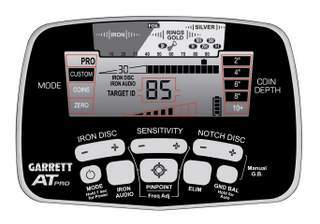 The Garrett AT Pro is a lot of fun to use in these areas.